You've reached the beginning of Shaloh House Chabad Hebrew School, November 2017. Hands on learning, students are fully involved, leaving a lasting memory. 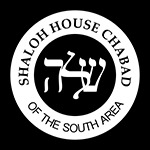 You've finished Shaloh House Chabad Hebrew School, November 2017. Hands on learning, students are fully involved, leaving a lasting memory.